Sigh. Majestic Blooms. Aren't they lovely, especially when all dolled up with a touch of sparkle? 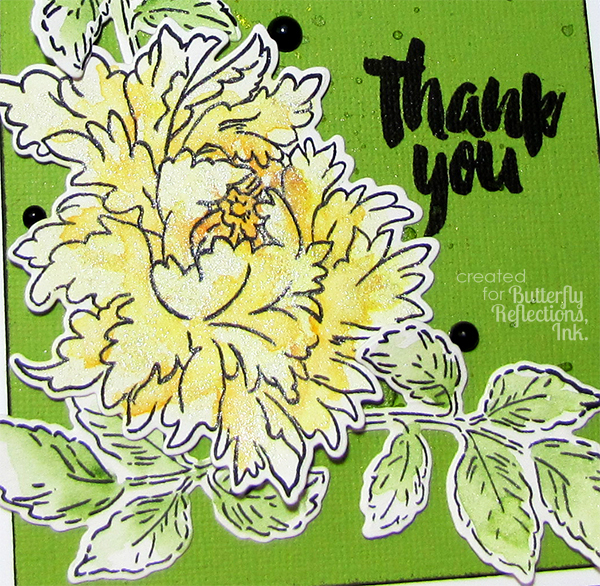 I have my first project up over on the Butterfly Reflections Ink Blog and I invite you to please check out the full card over there! What a stupendous flower! I love how it dominates the card, just right! Love it already, on my way! Karen this is such a pretty card, I love how you watercoloured it and the sparkle is the perfect finish! Majestic Bloom is a perfect name for this flower, WOW! Love your card, Karen, it's really gorgeous with the yellow bloom and sparkle! !